COCOA, Florida - A 28-year-old Port St. John man is facing criminal traffic charges for causing a serious crash early Tuesday morning. 28-year-old Thomas Hart, III faces a charge of reckless driving with property damage for his role in the crash that sent him to the hospital for serious but non-life threatening injuries. He is also facing citations for failure to yield and failure to obey traffic control device. At approximately 8:30 a.m. on Tuesday, Cocoa Police Officer Ben Landis was conducting traffic enforcement in the area of the 1600 block of U.S. Highway (between Michigan Avenue and Dixon Boulevard) when he allegedly clocked a motorcycle southbound at 110 miles per hour. 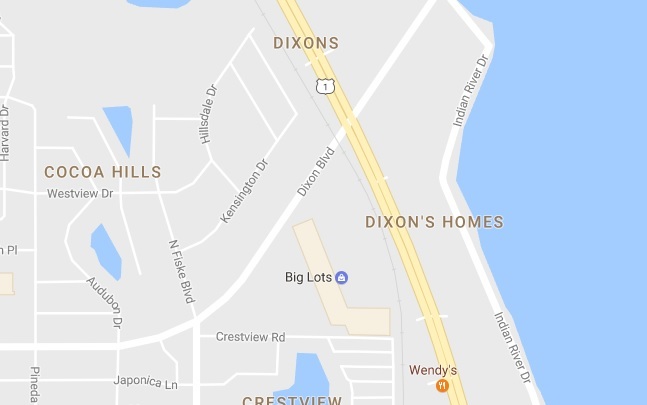 As Officer Landis began to turn around to catch up to the driver, he witnessed the motorcycle driver run a red light at Dixon Boulevard at which time the motorcycle struck the side of another vehicle that heading east on Dixon when attempting to turn onto northbound U.S. 1. The driver of the vehicle hit was not injured. Hart was airlifted to the hospital where he is expected to recover. Police say that Hart has a history of traffic infractions including two recent citations for careless driving in February and in November of 2016.